Last week, I babysat my two youngest granddaughters while their mama and daddy were out of town. that has fruit filled branches hanging over into my daughter's yard. 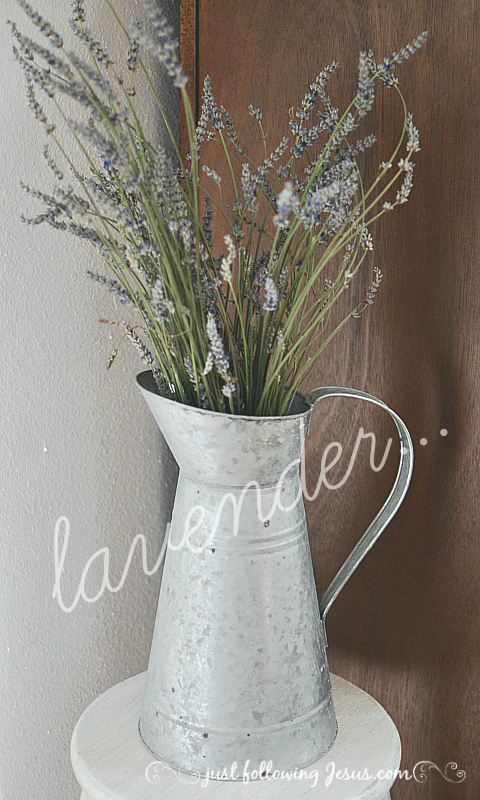 Lavender is a favorite of mine, and the lavender in my yard had an unfortunate demise and didn't bloom. Thankfully, lavender plants are relatively inexpensive, so I dug up the old and planted some new. I've bought and planted two English culinary lavender plants, one French lavender, and two Spanish lavender. 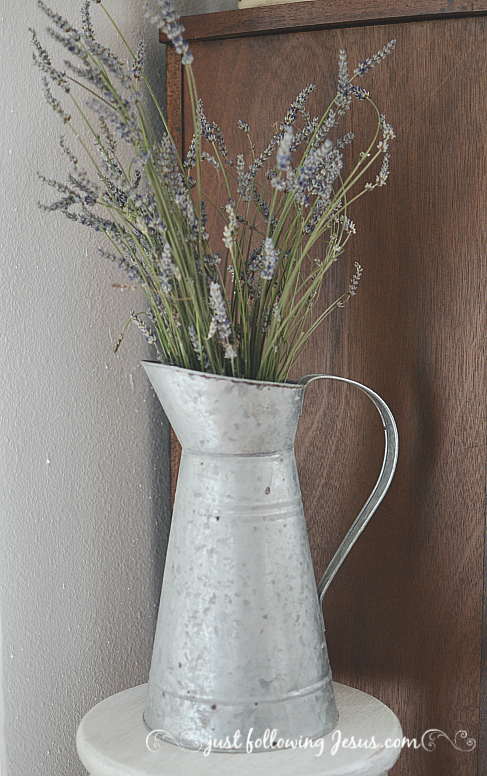 Dried lavender in a zinc watering can is perfection to me. Now, I just hope I don't kill the lavender in my yard again! 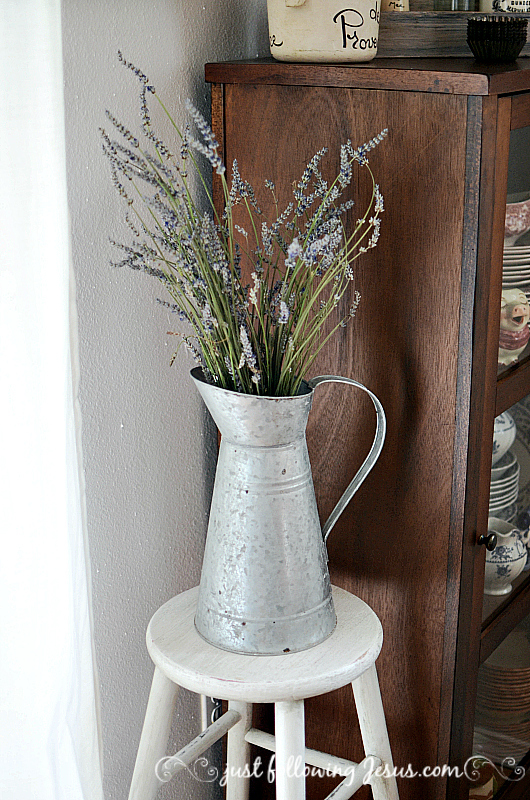 Love lavender! Your bundle does look perfect in the zinc pitcher. I have one lavender plant outside....I keep wondering how to propagate it. You've inspired me! I think I'll go out and cut a few springs and bring them in! Rebecca, I hung the bunch upside down for a couple of days to dry them. Your lavender is lovely, Elizabeth! I dug up most of my lavender plants and planted new ones so there won't be much to pick in my garden this summer. 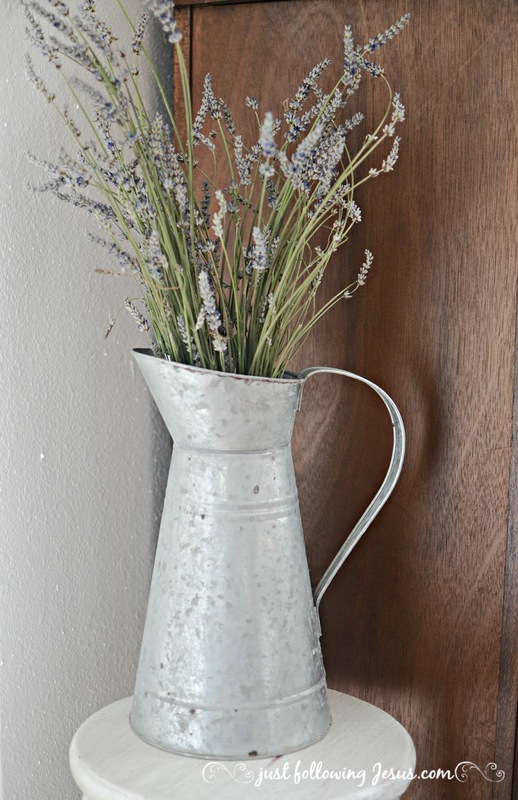 :) Love the zinc watering can too! That's what I had to do also. I'm happy to have this bunch from my daughter. That was such a sweet gift! 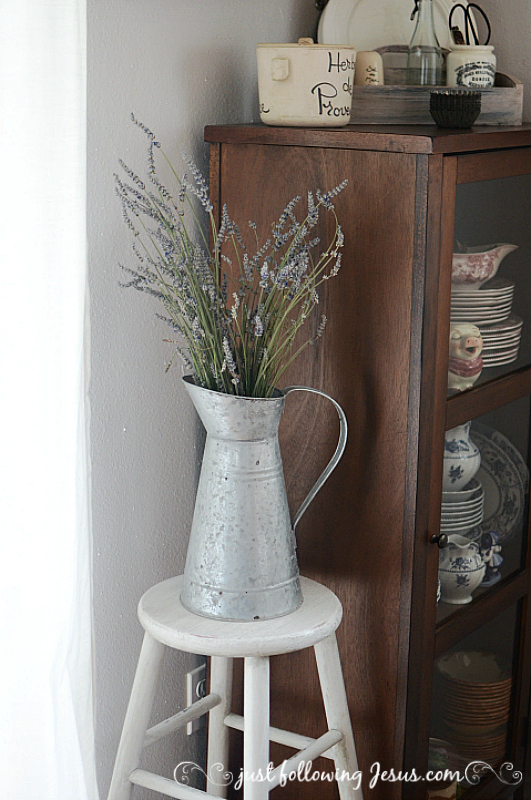 Your pictures are beautiful and I love the jug the lavender is in.